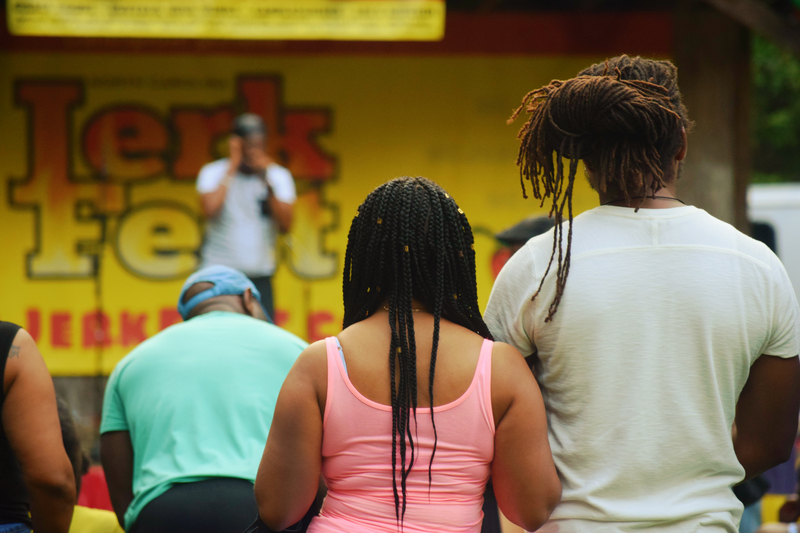 It is with great pleasure that CaribSplash invites you to participate in the Sixth Annual North Carolina Jerk Festival to be held on Saturday September 21st, 2019 at West Point on the Eno Amphitheater, 5101 N Roxboro Rd, Durham, NC 27704. Last year’s event was exceptionally successful thanks to all participants; sponsors, volunteers, and attendees. CaribSplash’s goal is to make the 2019 Jerk Festival bigger and better and increased corporate sponsorship is vital to achieving the said goal. CaribSplash plans a family-friendly fun day of activities representing Caribbean excellence and excitement along the scenic Eno River. Expect booths displaying cultural arts, clothing, and delectable Caribbean cuisine. Throughout the festival, patrons will enjoy ongoing live cultural entertainment. To compliment this experience we will have an interactive Kids Zone. Company banner permanently displayed on the Main Stage. Opportunity for company representative to make a five minute stage presentation. Recognition in Radio/TV ads in weeks prior to Festival. Sponsor Company Logo on The North Carolina Jerk Festival website with hyperlink. Social media postings recognizing your support. Inclusion in all E-marketing campaigns with logo linking back to your online site. Rotating Stage Announcements by festival host recognizing your support. Sponsor Company Logo on The North Carolina Jerk Festival website with a link to your website or Facebook. Social media postings recognizing your support. • Logo on event t-shirt. Sponsor Company Logo on The North Carolina Jerk Festival website with link to your website or Facebook.